A graduate of Boston College in Chestnut Hill, Massachusetts and Seton Hall University School of Law in Newark, New Jersey, Jeffrey J. McWeeney, Esquire current leads as Partner the Elder Law and Estate Administration, Litigation and Planning departments at King, Kitrick, Jackson, McWeeney & Wells, LLC. Mr. McWeeney joined the firm in the Fall of 1996 as an Associate and became a partner January 1, 1999. Following a clerkship in Ocean County in 1989-1990 (having worked for four (4) separate Superior Court judges) and having completed his tenure at the Ocean County Surrogate’s Office in 1996, Mr. McWeeney joined King, Kitrick, Jackson and Troncone, LLC. Mr. McWeeney formally served as the Special Deputy Surrogate in Ocean County, New Jersey from 1990 through 1996 and was responsible for all litigation matters and supervision of all filings in the Superior Court of New Jersey, Chancery Division, Probate Part in Ocean County, New Jersey. He served as general counsel to the Ocean County Surrogate. He also oversaw all filings for adoptions as well as oversight for the Surrogate’s Court Intermingled Minor’s account with a value in excess of twenty five million dollars. He also served as the liaison between the Surrogate’s Office and the Superior Court Judge responsible for hearing all Court matters in Probate. At King, Kitrick, supported by a team of attorneys and paralegals with specialized skills, the department is designed to assist and navigate clients through estate planning issues, court matters in estate ligation cases and general guidance in the administration of an Estate. Mr. McWeeney has held previous legal positions from 1986 through 1989 at various law firms including Hoagland, Longo in New Brunswick, New Jersey; Connell, Foley in Roseland, New Jersey; and Waters, McPherson in Secaucus, New Jersey. Since 1989, Mr. McWeeney has held various positions in professional organizations including President of the Ocean County Bar Association, Trustee of the New Jersey State Bar Foundation, Chair of the New Jersey Supreme Court, Office of Attorney Ethics, District IIIA committee (Ocean County) and Chair of the Legacy and Planned Giving Committee of the Monmouth Chapter of the American Cancer Society. Mr. McWeeney is an Adjunct Professor at Ocean County College in Toms River, New Jersey since 1989. He teaches various courses in Business Law, Real Estate Law, Estate and Trust Administration and Paralegal certificate and associate degree programs. Mr. McWeeney is or has been a member of the New Jersey State Bar Association, the National Academy of Elder Law Attorneys (NAELA), the Monmouth County Barr Association, the Ocean County Bar Associations, the National Guardianship Association (NGA) and the Guardianship Association of New Jersey (GANJ). 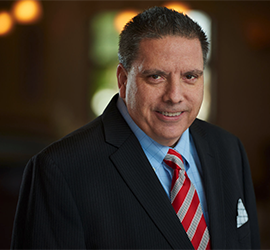 Mr. McWeeney also serves as a frequent moderator or speaker to the Ocean County Bar Association Continuing Education Committee (OCCLE), the Marino Institute for Continuing Legal Education (Marino) and the National Business Institute (NBI). Topics include Elder Law, Estate Administration, Tax Planning, Medicaid Planning, Trust Planning, Guardianship Practice, Estate Litigation and understanding the Probate Process. Mr. McWeeney currently serves as a Legal Custodian appointed by the United States Veteran’s Administration proudly representing United States American Veterans in management of their disability pensions.